Give me all the gluten-free dip! 10 recipes for gluten-free dips that will have your mouth watering. 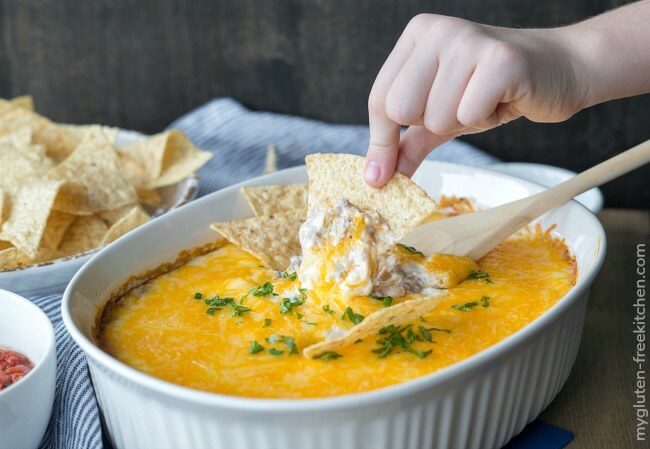 A collection of some of the best gluten-free dip recipes. From sweet to savory, there is a gluten-free dip recipe for all types of flavor preferences. Every time I go to a party I bring a gluten-free dip with me. 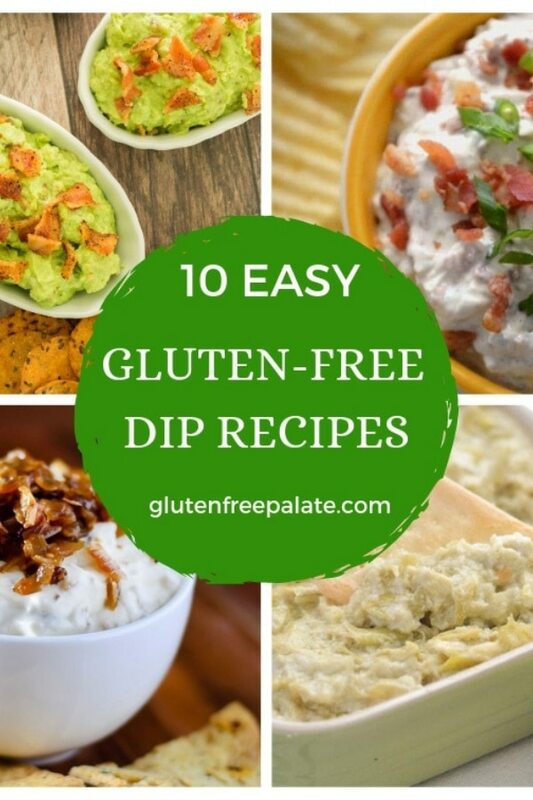 Dips are a universal food and there are so many ways to mix up a gluten-free dip that you can always find one that works for most people. Plus, dips are simple to make. I only have a couple of gluten-free dip recipes on my site. If I ever need a specific dip recipe I usually check out my gluten-free blogger friend’s websites. 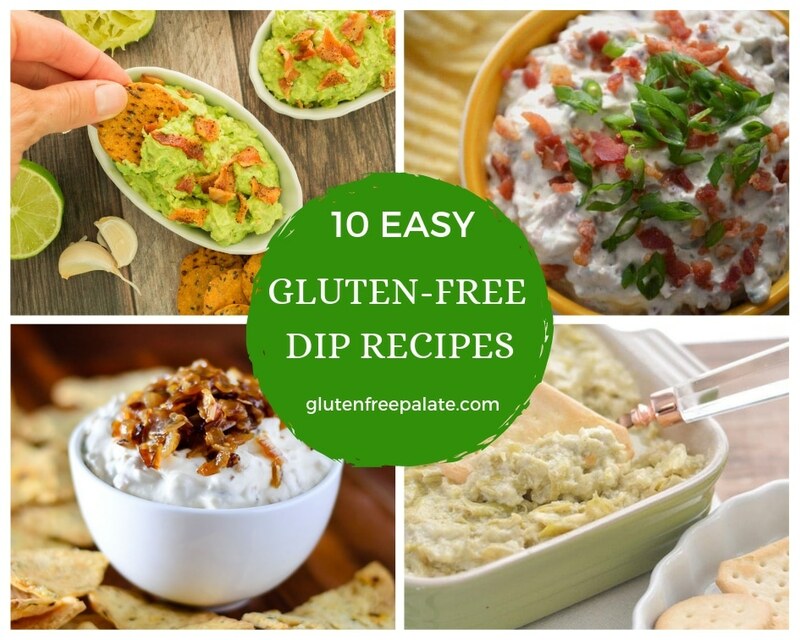 This collection of gluten-free dip recipes includes several of my favorite dips. There really is no wrong answer on what to serve with gluten-free dip. 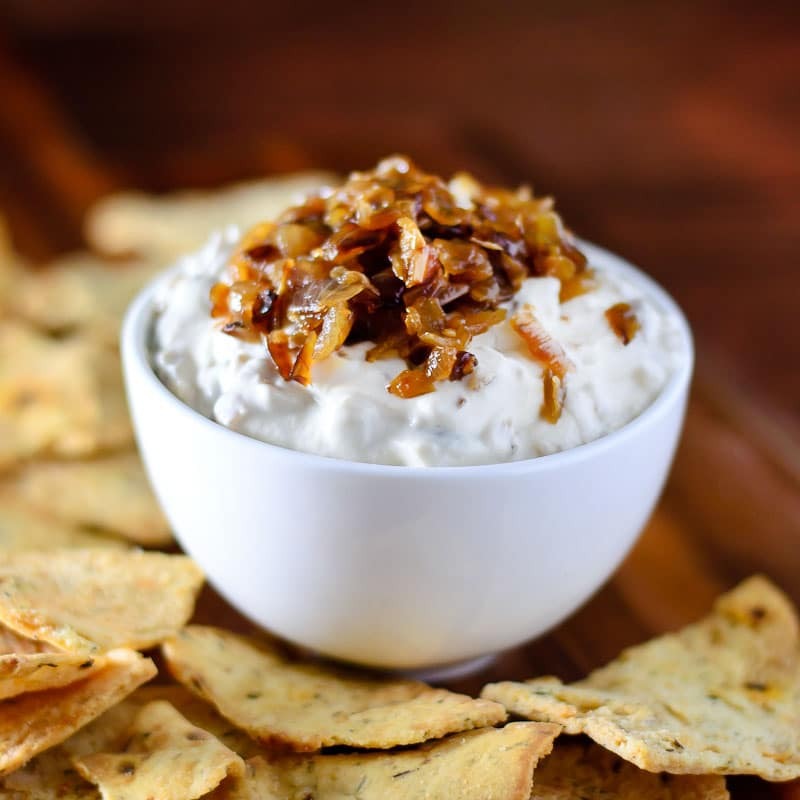 Pick something salty and crunchy if you are serving a savory or cheesy gluten-free dip, and something sweet if you are serving a gluten-free dessert dip. This creamy gluten-free seafood dip is the perfect party food and is naturally gluten-free. Serve this gluten-free dip with your favorite gluten-free chips or crackers and get snacking! 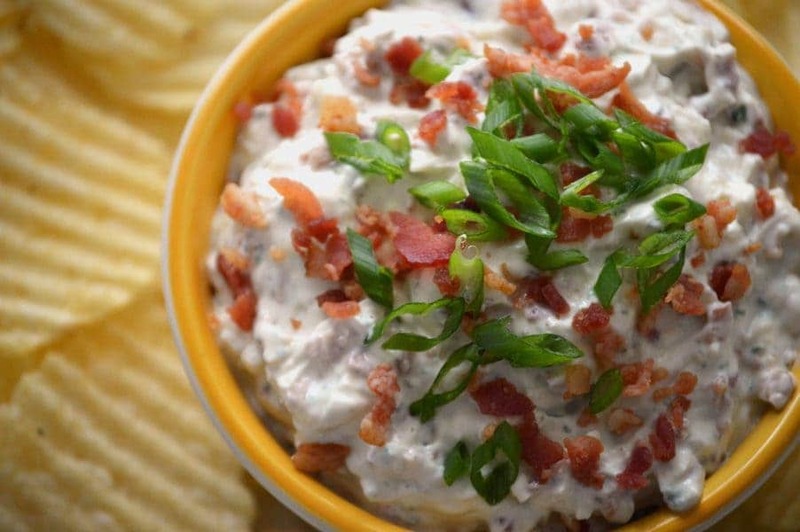 Cold crack dip is a creamy sour cream based gluten-free dip filled with ranch, cheese, and bacon. Every time I see Sharon post this recipe I start to drool. Doesn’t it look amazing? 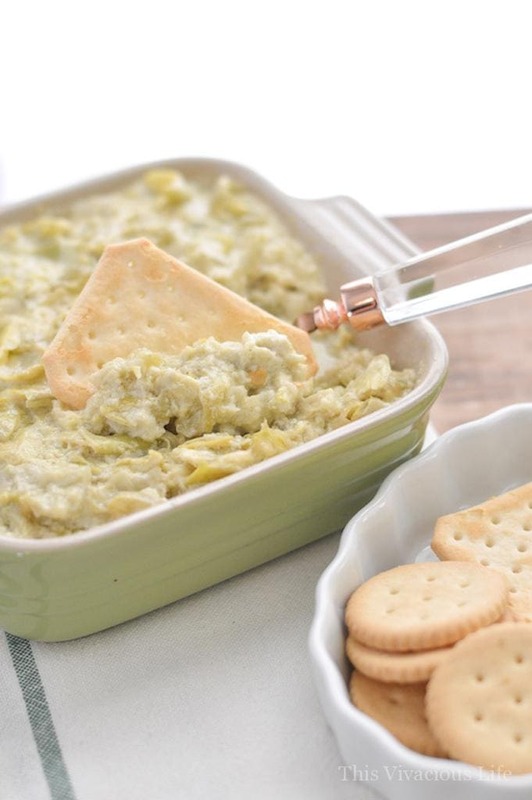 This instant pot artichoke dip is so great to quickly put together then walk away and do some other things. 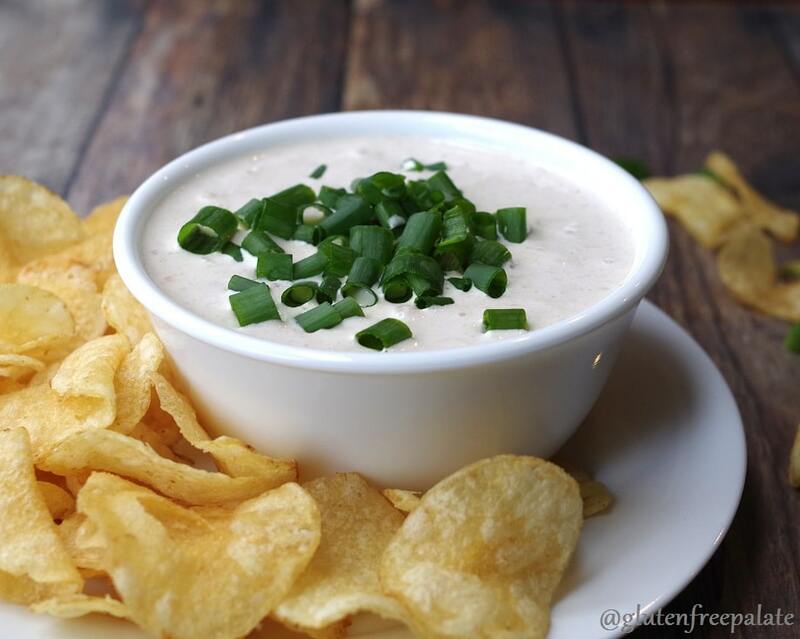 Come back to it nice and piping hot to enjoy this gluten-free dip recipe with your favorite crackers. 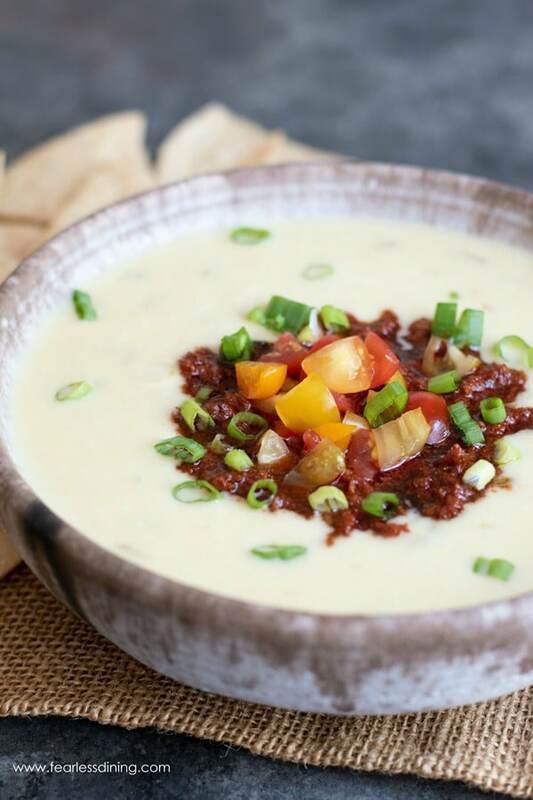 Chorizo queso dip is pretty amazing, and super flavorful. Serve this gluten-free dip with your favorite dipping item. I like to dip corn tortillas in queso dip. How about you? Creamy, cheesy bean dip is a favorite appetizer. We have this gluten-free cheesy bean dip for dinner often too as it makes a great burrito filling! I’ve made this several times and it’s a favorite in our house. Celeste says, “There’s only ONE THING better than guacamole…and it’s BACON GUACAMOLE.” I completely agree. If you don’t eat meat, you can leave the bacon out. This is hands down one of my favorite gluten-free dips. This gluten-free dip will be amazing at any party you take it to. I’d personally serve it with ruffled potato chips, but that’s just me. I love that it’s a “skinny” gluten-free dip recipe. Gluten free cookie dough dip that’s a little bit healthier too, thanks to Greek yogurt. This sweet gluten-free dip is a fun treat for parties and also makes a yummy dipping dessert. Do you like gluten-free dips? If so, leave a comment and let me know what kind of dips you like and what gluten-free dip recipes you are looking for. I am psyched to try a few of these out at our next game day party!! Thanks for including my Queso dip :-). I love all the dips in this roundup! Thanks for letting me share your yummy queso dip. Bring on alllll the dips! 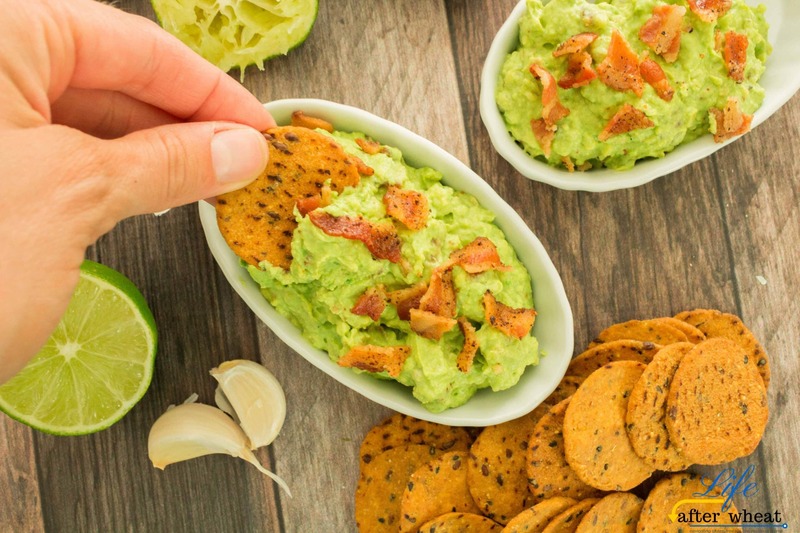 I can’t wait to try all of them, and I think your seafood dip is top on my list, I love everything seafood Thanks for featuring my Bacon Guacamole!